Regenerative Medicine Today welcomes Bryan Tillman, MD, PhD. 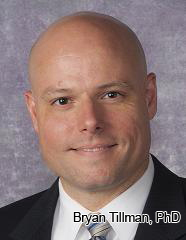 Dr. Tillman is an Assistant Professor in the Division of Vascular Surgery at University of Pittsburgh Medical Center. Dr. Tillman discusses his research in the development of novel endovascular devices. For more information about Dr. Tillman, click here.